Built in 1896 as the home of Napoleon Bonaparte's grandnephew, the Shangri-La Hotel is situated in the 16th arrondissement of Paris. The hotel features breathtaking views of the Eiffel Tower. Surrounded by a garden, the 101 rooms and suites offer guests the chance to enjoy an exclusive home. 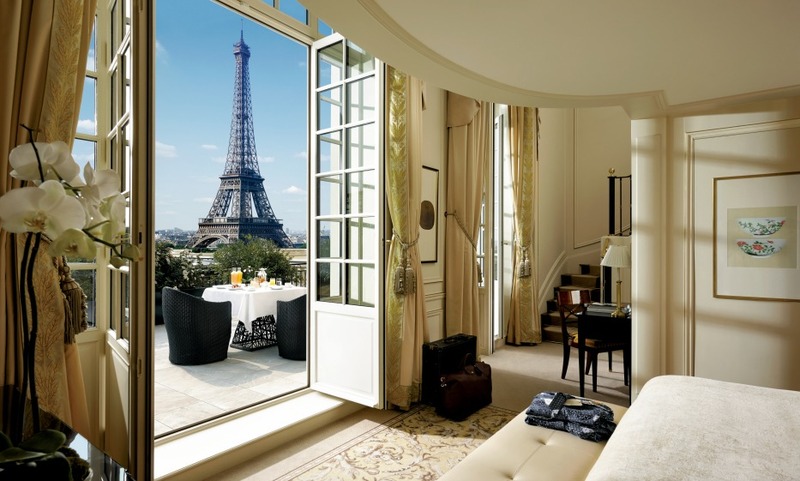 Bathed in natural light, 40% of the rooms and suites feature a breathtaking view of the Eiffel Tower. Great gastronomic choice with three restaurants, all under the direction of Executive Chef Christophe Moret, two of them being Michelin starred. A very good hotel. The staff is very welcoming and I recommend it. An extraordinary hotel with a decoration which blends Napoleon era designs with contemporary Asian touches, in an intimate and hotel focused on delivering exceptional performance. I’ll definitely be back. Nice hotel, nice staff. A little more and excellence is achieved. We had a wonderful time at the hotel Shangri La.